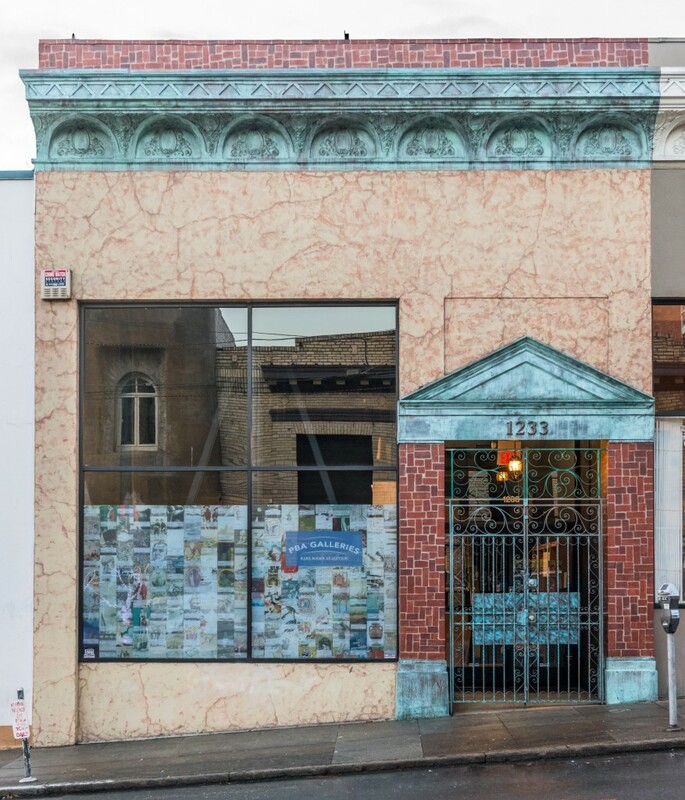 PBA Galleries is located at 1233 Sutter Street, between Polk and Van Ness. We are centrally located in the bustling Van Ness Corridor of San Francisco. Our offices and auction gallery are conveniently accessible by public transportation. There are numerous MUNI stops within a block and the nearest BART stops are Civic Center and Montgomery. Parking is available at many nearby public garages, including the ABC Parking garage on Polk at Bush a block away. We welcome visitors to our offices during regular business hours. Our normal business hours are Monday to Friday, 9:00am to 5:00pm. We also invite visitors to our auction previews each Tuesday and Wednesday before every sale as well as to our live auctions.